Here’s what you need to know about it and if it can help you. Trigger point therapy is not difficult and you can do-it-yourself (DIY) weekly or daily as part of your self-care routine. One way is to alternate DIY home sessions with your therapist’s sessions. You can save time and money by learning how to deal with your own trigger points and alleviate problems before they become bigger issues. In our blog we have suggested methods and videos to help you deactivate your own trigger points that are causing pain in areas like your shoulder or neck with a self-massage tool like the TP BuddieRx and even your own hands. A self-massage tool like the TP BuddieRx acts as an extension of your own hands to reduce strain on your fingers and other delicate joints while providing targeted release. Factors predisposing one to trigger point formation include poor posture, repetitive mechanical stress, muscular/mechanical imbalance, non-restorative sleep, and vitamin deficiencies. People working long hours sitting in front of a computer are bound to experience aching and tired muscles. Because they are sitting for 8 hours or more, they will experience muscles stuck in the shortened/lengthened state which cause trigger points. 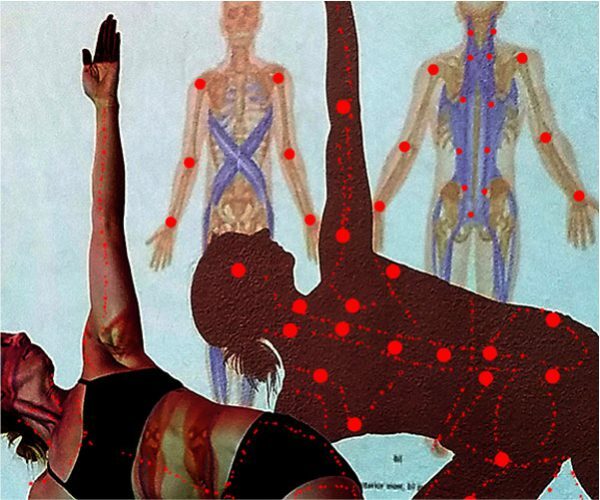 Common trigger points are in the lower back and neck. Active individuals involved in repetitive sports activities are likely to develop trigger points: especially sports which emphasize one-sidedness such as golf, bowling, baseball, and tennis. Anytime you are using one part of the anatomy over and over, which applies to almost all sports, you will develop trigger points. Sore muscles might not be just sore muscles; they might be referral pain from trigger points accumulated over years of doing repetitive sports. Those with previous injuries are prone to imbalances. If you have recovered from a previous injury to the knee, hip, back, or neck and “favor” one side, you might have trigger points on the side that you are favoring because of the pain. Muscles need healthy nutrients to recover and a good dose of solid sleep at night for optimal performance. Sleep is the reset button to healthy muscles. Good sleep helps you get your muscles back to a healthy state. Especially after a trigger point therapy session; getting proper sleep makes the treatment more amplified than without it. Some of the many benefits of trigger point therapy are releasing constricted muscle areas to relieve pain, preventing pain from going to other parts of your body, increasing your range of motion, and feeling emotionally and mentally better about yourself and your body. It is also highly personalized to your body and its pain pattern, so outcomes are excellent. Being able to move without pain is what life is about. When you are pain-free you have options open up to you. You have a choice of physical activities, rather than being forced into less-intensive activities because of pain. Maintaining healthy muscles is the key to staying an active individual and athlete, and learning about trigger point therapy is easier than ever with the many good books, blogs, and videos to assist you and products to aid you in doing trigger point therapy at home. Many people were first introduced to trigger point release using either a lacrosse ball or foam roller, both of which are not optimal for the beginner because the effects of body weight and gravity complicate the process unnecessarily. Using a massage stick, or product like the TP BuddieRx, eliminates these complications since it gives you the ability to palpate muscles with a press and hold technique in a controlled fashion. Using deep breathing and identifying the exact intensity and location of the pain creates the most relief. PrevPreviousWhat Is A Muscle Knot?